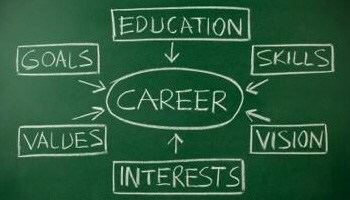 We actively work with our clients to help them make their big leap in the world of career and education. We believe in unleashing the true potential of students by providing sound career assessment that is intuitive and backed by sound scientific methods that have been tested over many years. All our services are personalized and conducted on a one-to-one basis, either online or physically as per the student's individual requirement. Our comprehensive approach towards understanding our clients with empathy, complete analysis and full- fledged solution makes us a league apart. Our founder, Ms Varnika Agarwal, is an expert career mentor and training specialist. She is an empanelled Counselor at the National Career Services (NCS) with the Government of India. She is also a Certified Career Development Facilitator by Edumilestones, a certified Global Career Counselor from University of California. An enthusiastic mentor, Varnika has helped numerous students and parents on solving their most complex career and parenting dilemmas. She has varied experience across industries like IT, Retail, Electronics, Education and Art. While, working successfully in the corporate sector for 9 years across various roles was intellectually stimulating for her, she particularly enjoyed her role as a mentor. Varnika finds her passion for mentoring students soulfully fulfilling and enriching. She wants to impact the young minds achieve their potential with her empathetic touch, rich knowledge base and a varied industry experience.